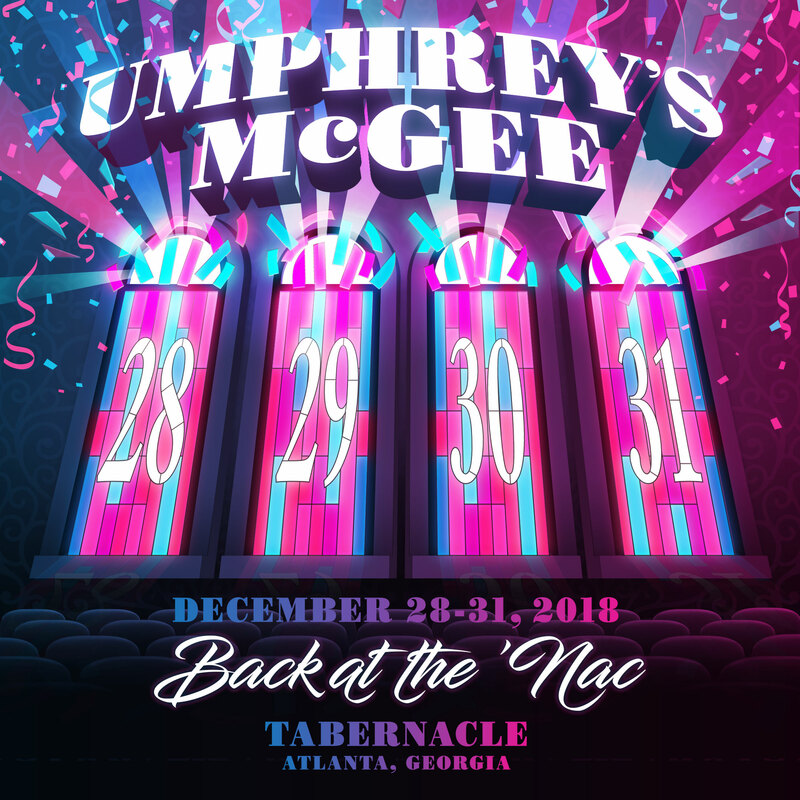 Umphrey’s McGee is pleased to present Back at the ‘Nac, a band-curated live album featuring the best moments from the 2018 New Year’s Run at the Tabernacle in Atlanta, Georgia. Available for streaming and download, the collection boasts over three-and-a-half hours of music, including tracks featuring Antwaun Stanley, Jeff Coffin, and Mad Dog’s Filthy Little Secret Horns. Seamlessly woven together Hall-of-Fame-style to create one helluva supershow, Back at the ‘Nac will transport you inside the hallowed walls of the Tabernacle for one mind-melting moment after another.